Leviathans and the Heinlein patch offer UI improvements and a host of others upgrades to the base game. 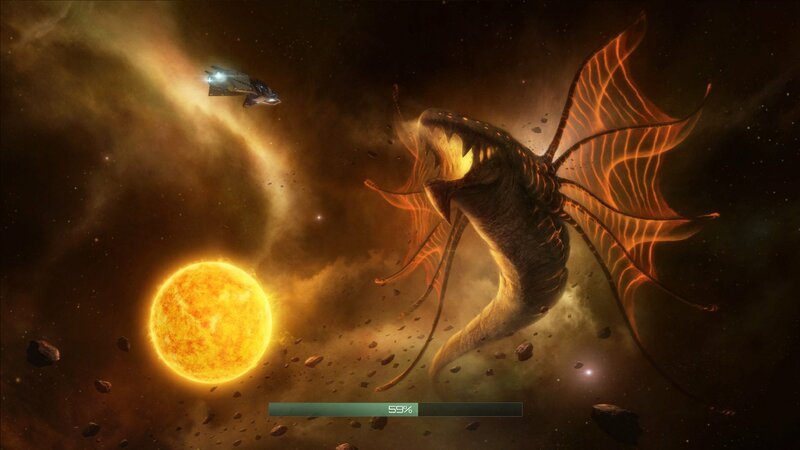 Stellaris was a brilliant, if flawed, combination of 4X gameplay and grand strategy trappings from Paradox Interactive that released earlier this year. As with many Paradox games, early issues were somewhat offset with the potential of future promise, though I certainly enjoyed it for what it was despite its fair share of issues. Now we have the first major content pack for the game, the Leviathans Story Pack, available as DLC. Thankfully, a host of the game’s early issues were fixed or improved in several free patches. The latest, Heinlein, which was released alongside Leviathans, is far and away the most impressive. 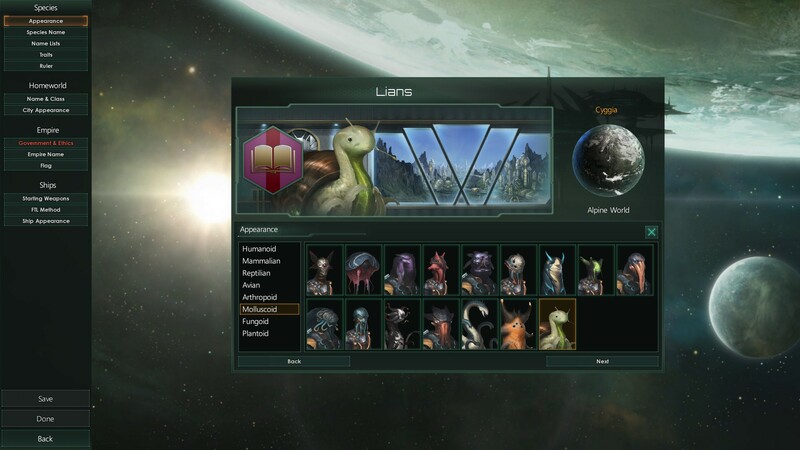 In addition to some general quality of life UI and graphical improvements, there are new technologies, weapons, building upgrades, diplomacy options, planet classes, ship design possibilities, and Fallen Empire behavioral improvements. And all this before a player even buys their way into the new stuff in Leviathans. The titular leviathans remain mysterious even though they’ve shown up on advertising and loading screens. One of the biggest additions the expansion provides are the titular leviathans, colossal space entities that offer an interesting twist on the base gameplay. They’re something like supercharged versions of the faction-neutral creatures that wander the galaxy, and they guard their territories well enough to cut off any empire not capable of mustering a large enough force to take them down. This makes them living strategic roadblocks to early and mid-game expansion and positioning, as well as something like mid and end-game bosses. The rewards one gets for dispatching them vary, and might require a little beefing up in future patches, but to some extent these tests of might are their own reward. Fallen Empires have also become leviathans in their own right, both via the Heinlein patch and the new DLC. The patch allows them to enter an “awakened” state based on a number of potential game conditions, and this turns them into an absolutely terrifying force to be reckoned with (in the wrong circumstances, perhaps slightly too much so). They’ll rampage across the galaxy, cutting down anyone who can’t withstand them, which will be nearly everyone. 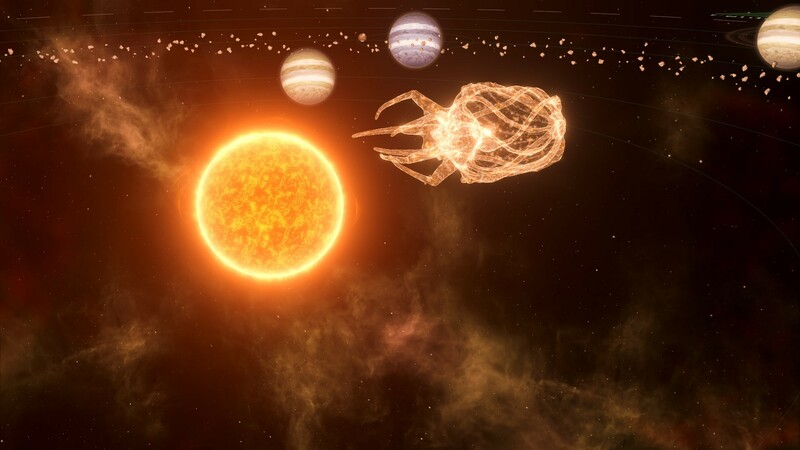 If a player has the DLC, however, the game can actually enter a “War in Heaven” scenario, where two of these behemoths start a galactic war with each other that everyone else is (more or less) forced to participate in. These new dynamics are incredibly interesting shakeups to the normal formula, asking players to make the decision of who they will support, or if they’ll take the very real and potentially lethal risk of trying to stay neutral. Enclaves aren’t as fleshed out as they might have been, but still open up a wealth of new options to industrious players. Future tweaks to just how much power awakened empires can wield may be in order, and adjustments to how the game handles things after a War in Heaven comes to a close (generally the Fallen Empire who won the war also wins the game), but while the implementation may not be entirely perfect, the overall effect is great. 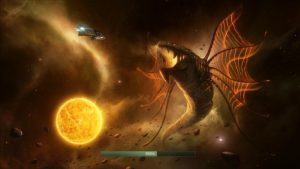 As has been the case with Stellaris from the beginning, the game probably appeals much more to people who enjoy watching interesting scenarios play out than to people who set out from the beginning to win, and this DLC continues to reflect that. Lastly, players can take advantage of Enclave stations, which offer 3 different types of economic entities: artisans, curators, and traders. While this addition seems relatively minor compared to the others, it actually goes a fair way toward providing new mid-game options for players to pursue, and thus new paths through the game. Traders allow for easy trading of minerals, energy credits, and strategic resources, artisans allow access to monuments and festivals which affect growth and happiness, and curators are guardians of desirable technology. They aren’t full races in and of themselves, and they have the potential to be much more interesting in the future as actual entities, but their strategic usefulness is enough to offset the fact that they don’t have much agency of their own. Several new portraits have been added to the game. This is, oddly enough, the cutest Stellaris has ever been. Ultimately, these different pieces combine with new mid-game quests (complete with interesting text narratives) to considerably improve Stellaris’s previously anemic mid-game. It doesn’t radically alter any one particular aspect, but provides more options, more points of interest, and a few potential late-game scenarios that shake up the status quo. 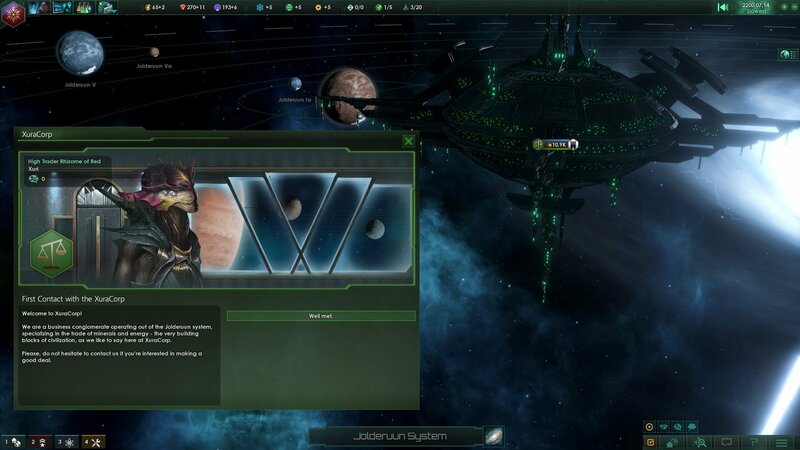 Combined with the substantial improvements offered by the Heinlein patch (not to mention the two that preceded it), the current state of Stellaris is extremely strong, though balance issues as a result of these changes is likely still necessary. This is a far bigger and better package than the Plantoid Species Pack, the game’s first DLC, which offered only a new race (portraits, cities, and ships) for $8. The Leviathans DLC is thus wholeheartedly recommended to most fans of the game, though people who were only interested in passing, or who still don’t fully understand Stellaris’s systems, may find that $10 is a bit too much to ask for something they may not be able to fully appreciate. For everyone else, however, it’s a must-buy. The leviathans themselves are interesting, varied, and scary.